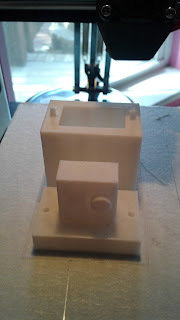 Today I did my first successful ABS prints on the MP Select Mini. 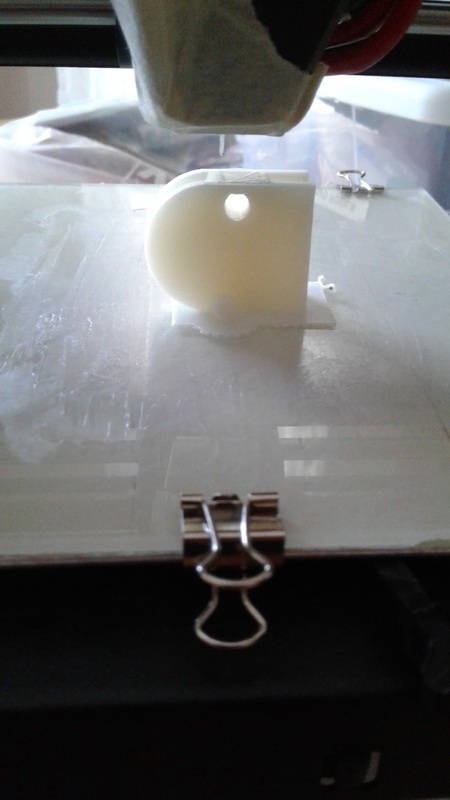 The successful print was with SoliDoodle ABS Filament printed at 240C and the Bed at 70C. This was printed on the glass bed I wrote about previously with Elmers Washable Disappearing Purple Glue Stick applied to promote adhesion and I used a raft. I blocked the fan duct with masking tape to prevent warping. I also found I needed the fan set at 90% for the entire print to move some of the heat away from the heat block so the radiant heat from the block doesn't distort my overhangs. Removing the print from the bed was easy. I slid a paring knife under the still-warm raft and it popped right off. 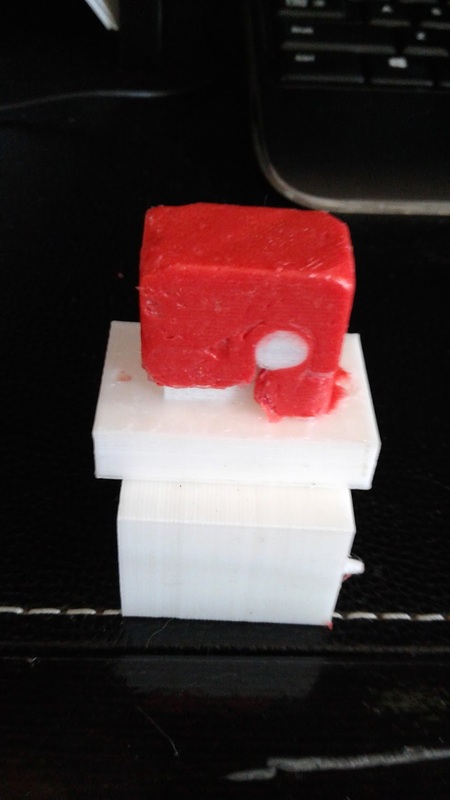 I had several issues getting the ABS to stick, and I won't consider the problem fully resolved until I can print without the raft. I tried a number of combinations that did not work for me. * The Control panel only lets you set the temperature to 60C, but you can set it higher than this via G-Code. ** The printer took forever to reach the 80C bed temperature. 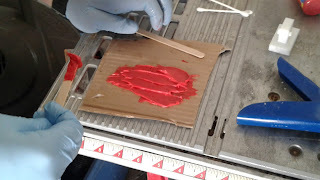 I helped it along by putting a piece of cloth (the square pad you use to fetch hot things from the oven) on the bed while it was preheating, then pulling it off as it started to print. If future testing shows that higher temperatures help with this I'll have to insulate the bed. 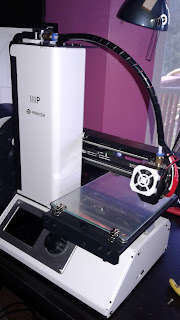 Today I installed a glass bed on my Monoprice Select Mini 3d printer. I did it a bit differently from most of the conversions I've seen online. 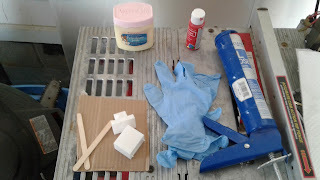 I purchased 3/32" inch (2.38mm) glass from Home Depot, and cut it to size with a carbide glass cutter. Next I used a knife sharpening stone and some vegetable oil to grind down the cut and factory edges so they'd be safe to handle. I rounded off the corners a bit too. 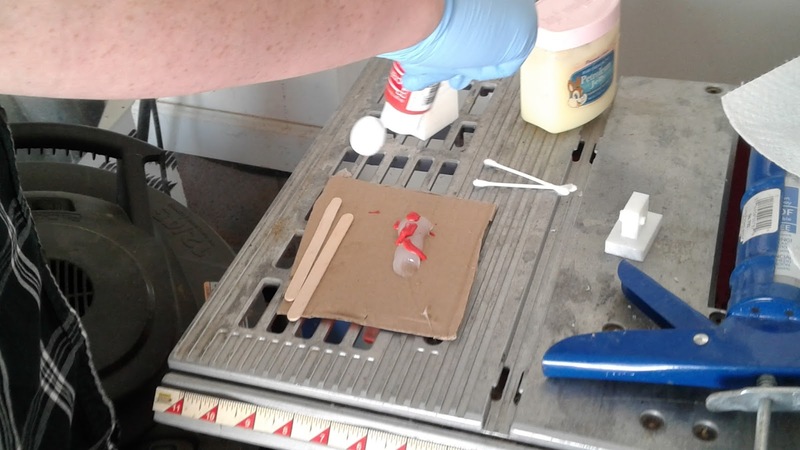 With that done, I peeled up the bed tape from my aluminum bed, scraped off the high points of the bed's dings and scratches with a razor, and set the bed in place. I held the glass in place with 4 Wal-Mart 1/2 inch Mini Binder clips. This is, so far, fairly standard stuff. If you were following most online tutorials the next step would be to install a clip around the X axis gantry to raise the Z axis home position by the height of the glass. I did something different. I raised the hot end instead. 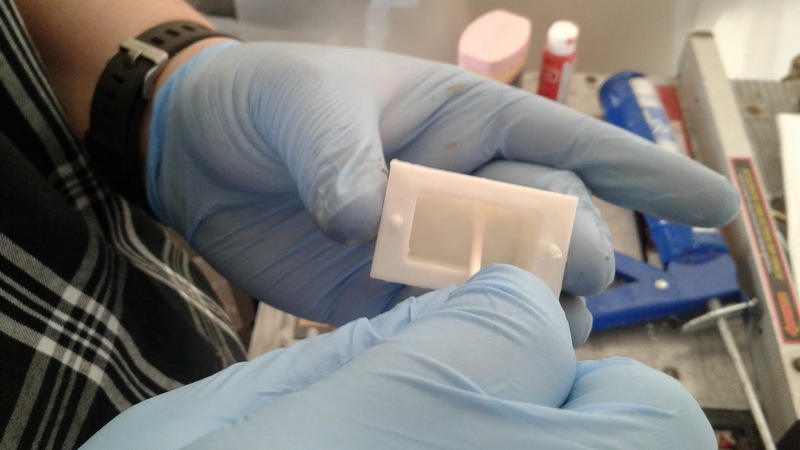 The hot end is held in place by a 1.5mm grub screw. 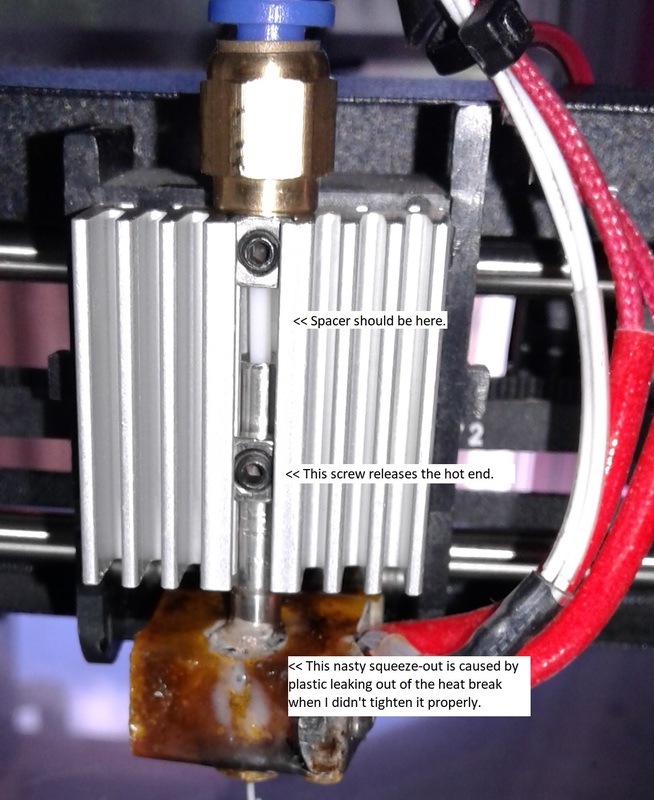 I removed the fan, loosened the grub screw, took out the print head, removed the PTFE spacer block, reinstalled the print head, raised it well above its old height, and re-tightened the screw. 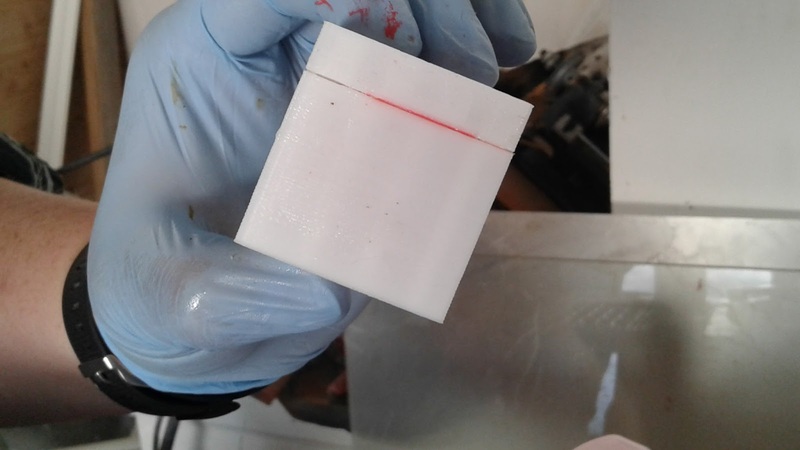 Then I carefully homed the printer, loosened the screw, lowered the printhead into the correct position, and retightened it. Viola, Glass print bed and no spacer required. There is a downside to this approach. 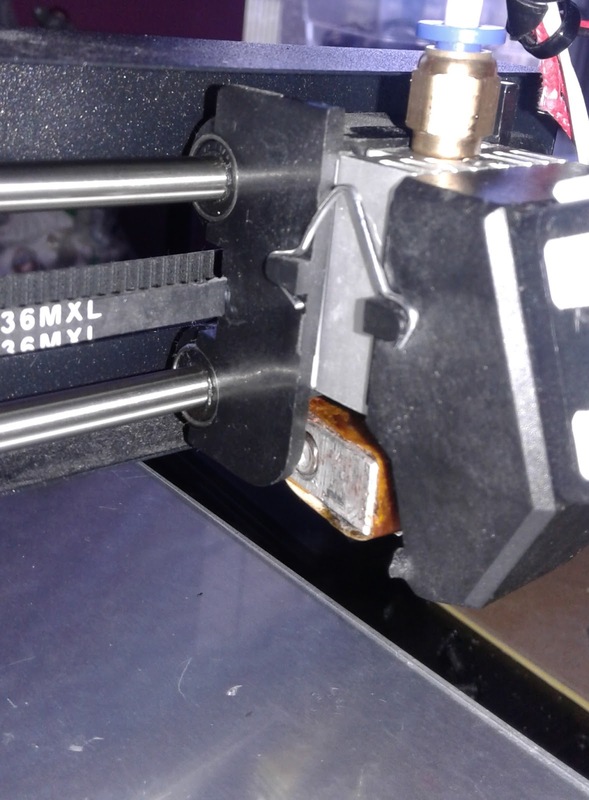 That PTFE tube spacer helps filament feed smoothly back into the print head if you retract it too far. I'll be replacing this very soon as part of my NinjaFlex fully-constrained-filament-path upgrade. It's worth noting that I didn't intentionally choose to do my glass bed conversion this way. 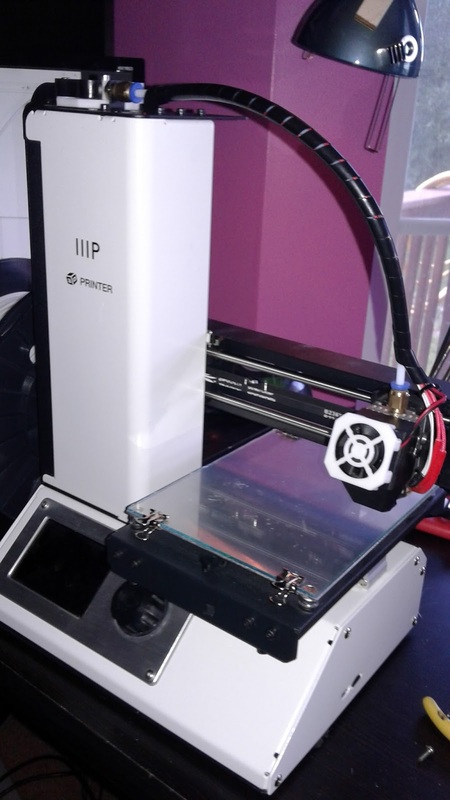 I printed a glass bed spacer from Thingiverse (https://www.thingiverse.com/thing:1621650 ) and disassembled the printer to install it. 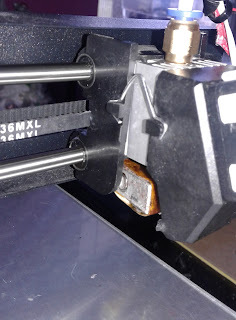 Unfortunately I found that it didn't snap on to my x gantry properly, and was "sprung" into position such that it would never be accurate on my printer. That's probably a printer calibration problem on my side, and not a problem with the model. This way appears to be working, so I'm happy with it. Tiny gnomes stole one of my fan clips while I had this apart. I foiled their evil plot though; I fabricated a serviceable replacement from a paper-clip. Yesterday I tried an experiment. I wanted to know if you could cast Silicone Caulk in 3d printed molds. The answer? Yes! 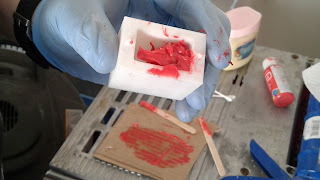 I used PLA for the mold, Petroleum Jelly as a mold release, and some Acrylic paint to color the part and provide the moisture required to set the silione. Unfortunately I underfilled the mold so my part was unusable. It is still a resounding success though.